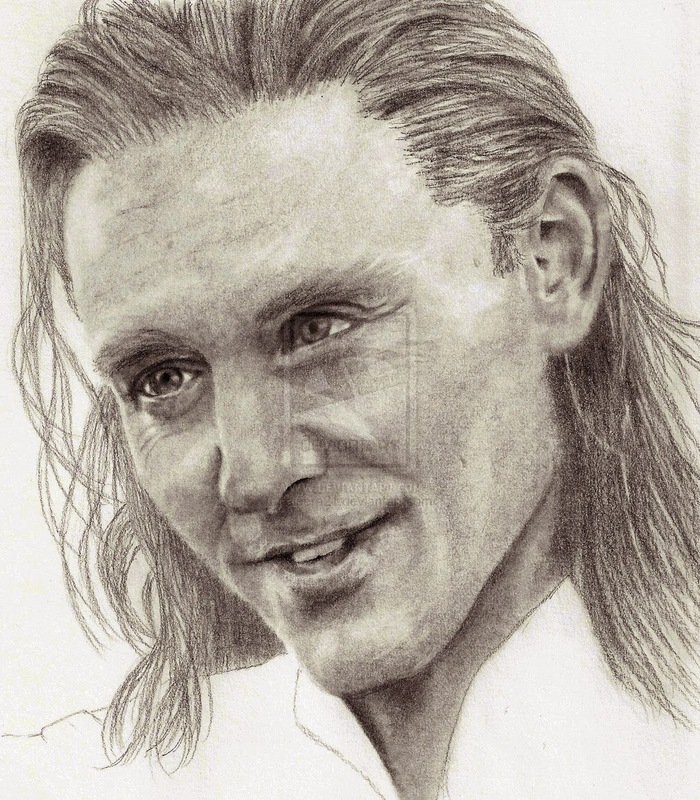 A sketch of Tom Hiddleston as Loki in Thor: The Dark World. Drawn over approx 6 hours with a 2B pencil. I darkened it a little after scanning for clearer viewing. Long time since my last drawing. I started one in colour, but really didn't have the right pencils for it, so I gave up; then I started this one, but most of my time lately was taken up getting my novel ready for publication. Now, at last, I had time to finish it.